Remember Sir Francis Bacon was a Freemason? Regarding Sir Francis Bacon--yes, he was a Freemason and was instrumental in important changes to Masonry, through the London Lodge. He was also, however, a 17th Century leader of Rosicrucians, of the specific Rosicrucian tradition. 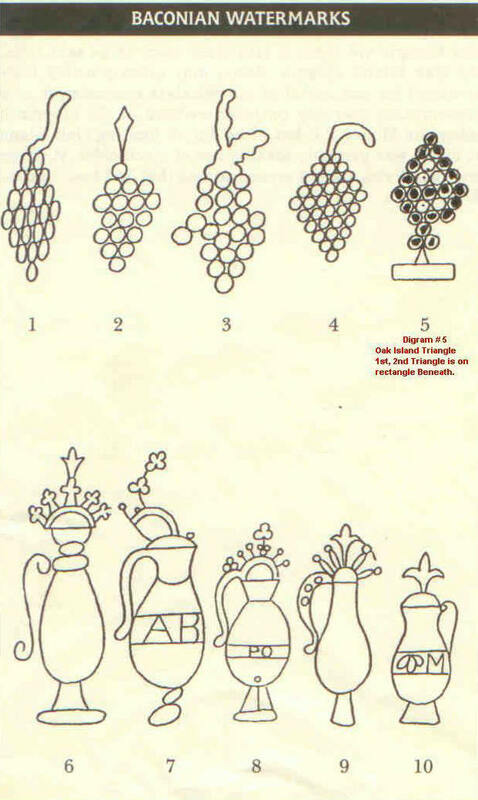 Recently Keith Ranville made it known of a translation of a watermark cipher that he broken down from top to bottom descriptively, while Mr. Ranville was investigating the Oak Island treasure mystery, he came across a watermark in a book about the Oak Island Mystery by the Fanthorpes. 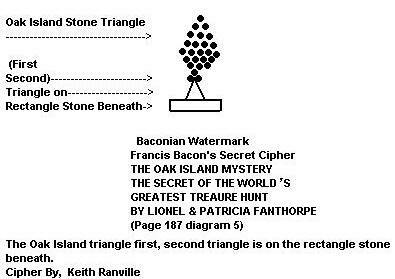 The theory of Sir Francis Bacon and his relation to Oak Island is not relatively new, many books on Oak Island mention Sir Francis Bacon as contender of who went to such lengths to conceal something. As a possible suspect that he may have involvement in the Oak Island treasure mystery that is now in it’s 212th year of much searching. 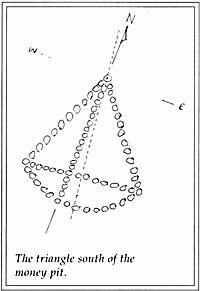 Perhaps with more advanced treasure-hunting equipment and exploring Mr. Ranville’s Oak islands research concepts will give us a better understanding of this enigma. It is said Sir Francis Bacons personal writings were and preserved in mercury and hidden some where in the Oak Island treasure mystery? 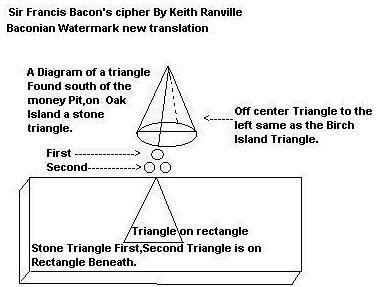 Keith Ranville a Canadian First Nations Native, is known for his translation’s of the Oak Island Money pit symbols, and for his newly discovery the Birch Island triangle. The Watermark is described as a triangle with tub bottom, with a circle below followed by two more circles then under a triangle on a horizontal rectangle. The Oak Island triangle first, second triangle is on the rectangle stone at the bottom. If this translation of Sir Francis Bacon holds true, with my descriptive cipher of his watermark seal, and this cipher is done very much the same method as the Money Pits symbols, then Francis Bacon is in the front running of ?who? in my treasure theory. I am excited to think that the secrets to Atlantis can be in the Birch Island Triangle. My research is getting closer to the objective to treasure and it's exciting to. It feel great to understand some as brilliant as Sir Francis Bacon. Wisdom of the Ancients and the New Atlantis London: Odhams, (undated).